I can honestly say I rarely run published adventures. They’ve always been a little too precise for my taste, I like a little wiggle room. Granted nothing that’s been written has to be considered unchangeable but I just seem to care too much what is on the page rather than in the actual game when I’m pulling from one of those. So if I have to choose one, and maybe its because I had the pleasure of playing a Dungeon World hack of it recently (Thank you @Sorcerer_Blob! 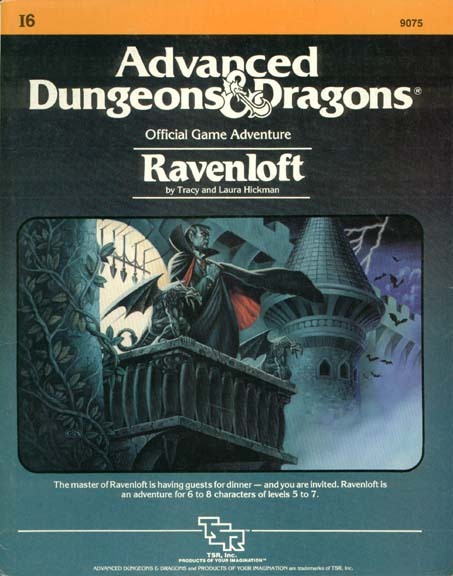 ), it would have to be Ravenloft. The module was so well done and inspirational it gave way to the development of an entire Campaign World full of Gothic Horrors. It also provided a ton of cool ideas for any GM to pull from for their other campaigns, which to me is the hallmark of any great published adventure. This entry was posted in Dungeons and Dragons, Friends, Gaming, RPGADAY by Kevin Smith(@SharnDM). Bookmark the permalink. Ravenloft is a very good choice! I managed to snag a copy a few years back but haven’t ran it as written. More of a collectors item now. The RL setting is definitely something I’d consider revisiting too given the right circumstances. Man. I would love to actually own it. always had to borrow it from a buddy.